Momo-o, Matsuo & Namba (“MMN”) is a full-service corporate law firm in Tokyo, Japan renowned for providing indispensable legal services. The legal issues facing their global and local clients are diverse and represent an ever-changing and increasingly integrated world economy. This reality is reflected in their attorneys who are internationally-recognized experts in fields such as litigation and arbitration, corporate law and compliance, M&A, antitrust and competition, bankruptcy and reorganization, intellectual property and labor and employment. 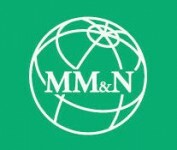 Although MMN is a full-service firm, it retains the most positive attributes of a “powerhouse” boutique by providing hands-on, engaged and responsive counseling on a comprehensive range of domestic and cross-border matters. The firm works integrally with their clients throughout the world as the only Japanese member of Interlaw, the elite-ranked international network of full-service independent law firms.